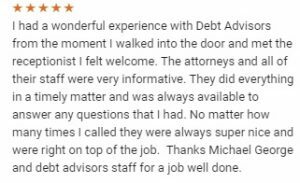 My name is Attorney Michael Georg, and I am the partner/owner of Debt Advisors Law Offices. 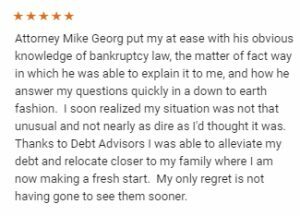 I have successfully represented thousands of people through the bankruptcy process since 1997. 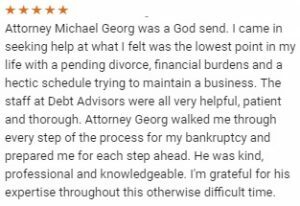 I have filed Chapter 7 and Chapter 13 bankruptcy petitions for people throughout the State of Wisconsin. 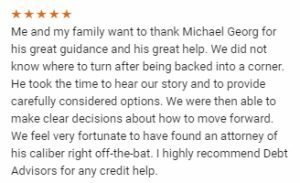 I have helped homeowners save their homes from foreclosure, saved consumers’ cars from repossession, and protected their wages from garnishment. I grew up in Fond du Lac, WI and earned my B.A. from the University of Wisconsin at Madison and I earned my law degree from DePaul University College of Law. While studying law, I clerked for the Cook County Public Defender’s Office. 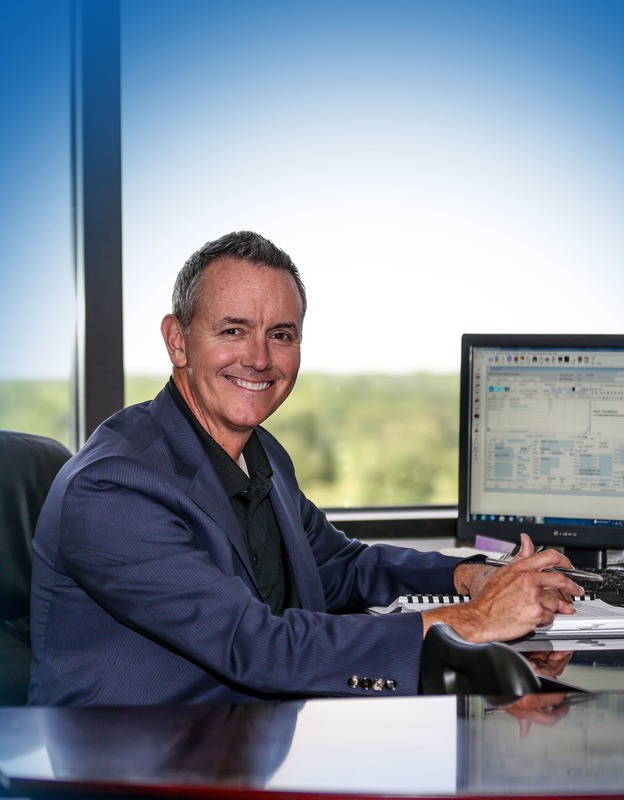 I also worked for a law firm that helped people obtain social security disability benefits. This experience sparked in me a desire to use my education to help people deal with life’s problems they simply cannot control. It is my job to help you deal with crushing medical debt, overwhelming credit card late fees, and the payday loans that were supposed to get you out of a pinch, but are now squeezing your family’s budget.